ConceptDraw MINDMAP is a collaboration project management software allows to make project status report, remote team presentation, remote collaboration. With this tool you are able to provide a project status report in a form of a mind map presentation remotely via Skype, collaborate on project objectives etc. 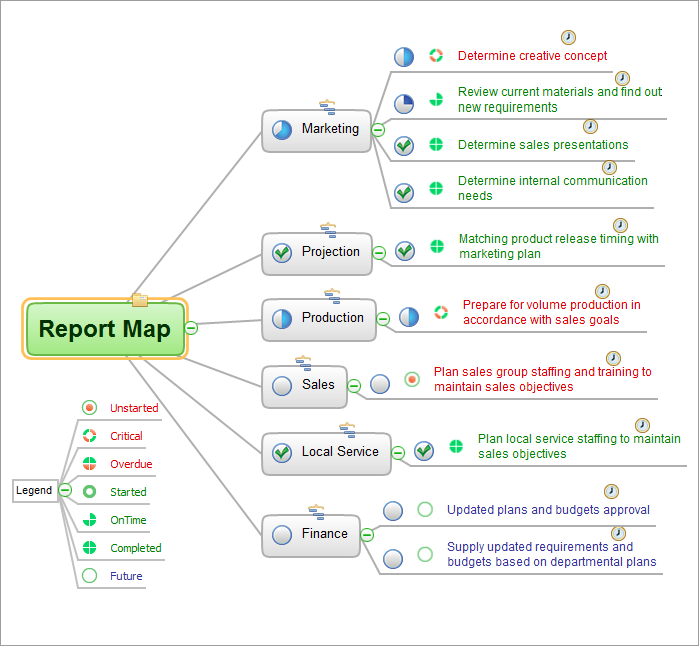 Project status report mind map sample is created using ConceptDraw MINDMAP mind mapping software. This mind map example helps to present the Project status report to team as a slide show. Use this mindmap example for implementation of Remote Presentation for Skype solution from ConceptDraw Solution Park.